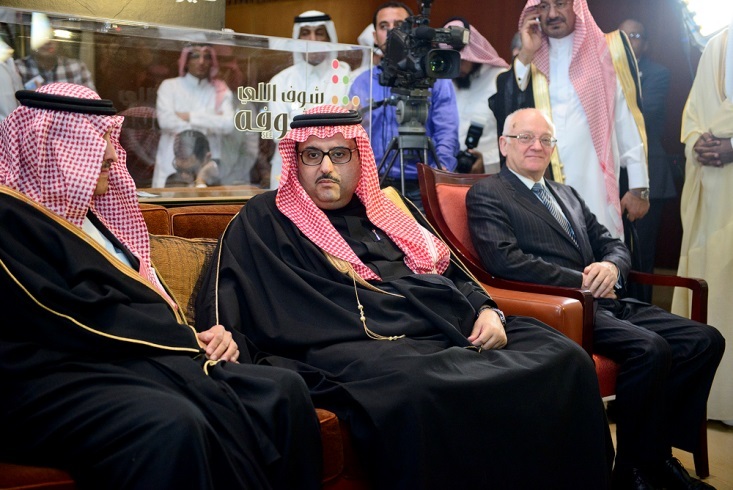 The union is under leadership of HRH Prince Abdulaziz Ahmad Al Saud. The Vision	of PBU is to facilitate the provision of comprehensive eye care to all segments of the society based on the principles of equity and justice. The Mission of the union is to support, coordinate, collaborate and advocate activities in the field of comprehensive eye care (promotion, preventive, curative and rehabilitation) with all stakeholders (such as Governments, Non-Governmental Development Organizations (NGDO), regional and international organizations, professional bodies and institutions) in the EMR and Africa. 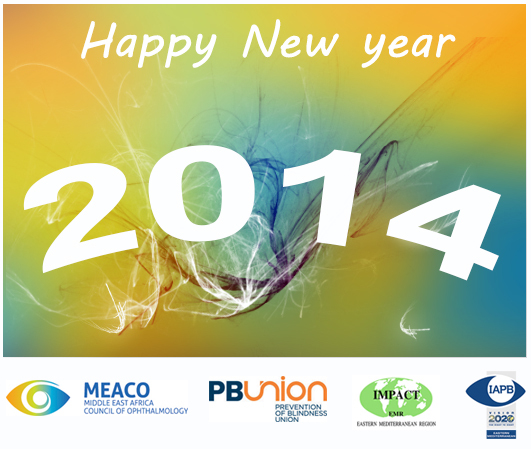 PBU wishes you and your loved ones a happy and prosperous new year. 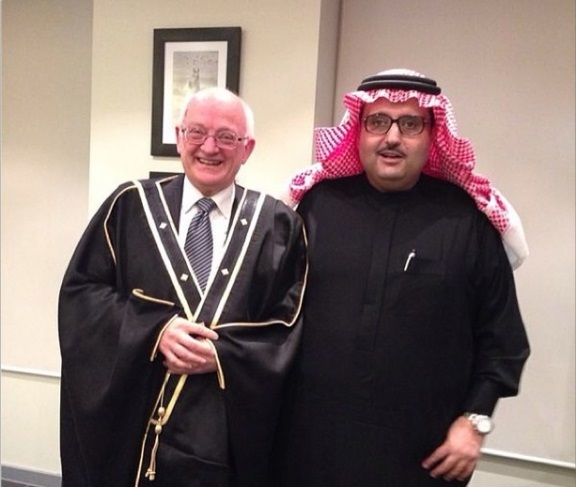 The Chairman and the CEO of the International Agency for the Prevention of Blindness (IAPB), Mr. Bob McMullan and Mr. Peter Ackland respectively, visited the IAPB-EMR office in Riyadh, Saudi Arabia on 5 December 2013. They had discussions with the EMR officials on improving eye health and prevention of blindness activities in the region and globally. 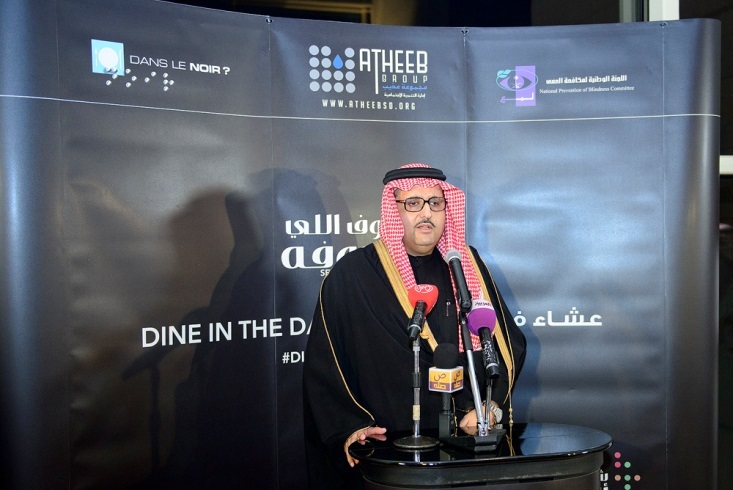 The Chairman of the IAPB-EMR, HRH Prince Abdulaziz Ahmad Al Saud launched the ‘Dine in the Dark’ on the 5th of December 2013 in Cristal Restaurant Al Faisaliah Hotel, Riyadh, Saudi Arabia. It is an awareness creation activity that entails experiencing dining in a total darkness guided and served by visually impaired people. The event was sponsored and organized by Atheeb Social Development, a non-profit organization, in collaboration with Dans Le Noir of France and the Saudi National Prevention of Blindness Committee (NPBC). The Chairman and the CEO of IAPB, Mr Bob McMullan and Peter Ackland respectively, participated in this unique event. Also in attendance were Prince Sultan Salman Al Saud, the President of the Saudi Commission for Tourism, Antiquities (SCTA). Princess Maha Abdulaziz Ahmad, Chairperson of the Atheeb Social Development organization, other members of the Saudi royal family, high government officials and the media representatives. Sightsavers Middle East and PBU launched the GCC (Gulf Cooperation Council) Forum on Avoidable Blindness. The Forum will serve as a regional platform for stronger collaboration between foundations and NGOs from the region to pool their resources and streamline their activities towards a better impact on prevention of blindness in the region. 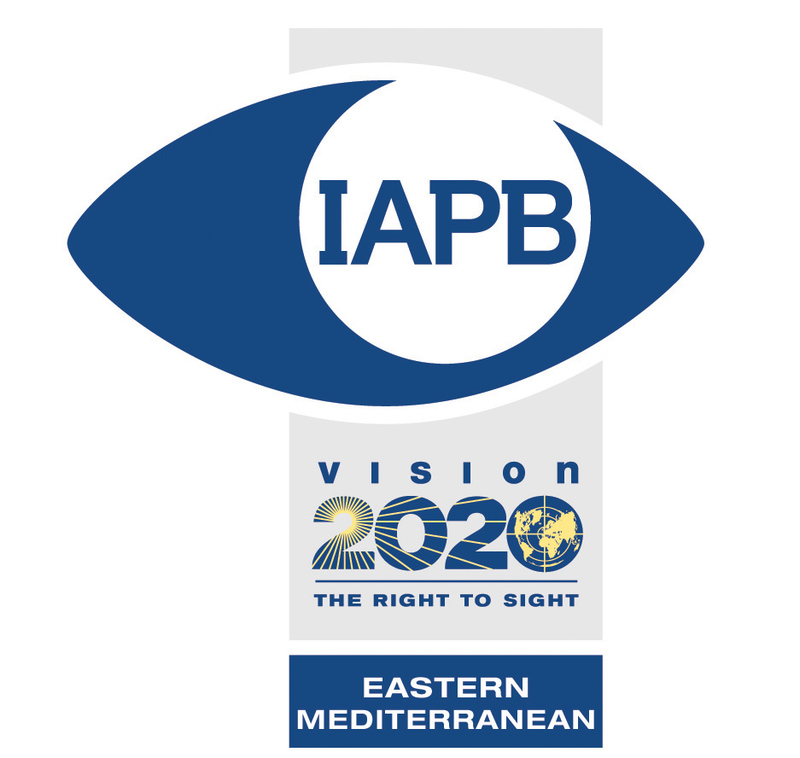 The official launch of the Forum organized in collaboration with the International Agency for the Prevention of Blindness – Eastern Mediterranean Region (IAPB-EMR) was held in Dubai on 30 October 2013. The event had in attendance several organizations working in the field of prevention of blindness, representing 12 countries. The Forum, under the patronage of H.H. Sheikh Nahyan Mubarak Al Nahyan, was attended by HRH Prince Abdulaziz Ahmad Al Saud, Chairman of PBU. The Chairman of PBU, Prince Abdulaziz Ahmad Abdulaziz Al Saud had announced a new initiative for ocular health interventions for 10,000 people in Africa over one year. The Chairman announced the initiative at the launching of the GCC Forum for Avoidable Blindness in Dubai in October 2013. Details of the initiative to be undertaken by PBU partners will be announced later. IAPB-EMR with special grant from its Chairman, Prince Abdulaziz Ahmad Al Saud, will be undertaking a baseline assessment of all available eye health human resources in the 22 EMR countries. This was announced at the 60th WHO-EMRO regional committee meeting held in Muscat, Oman in October 2013. This data lacking in many countries will be particularly useful for development of new national action plans in line with the new WHO Global Action Plan 'Universal Eye Health 2014-2019'. The exercise will be organised by the EMR Human resource working group. 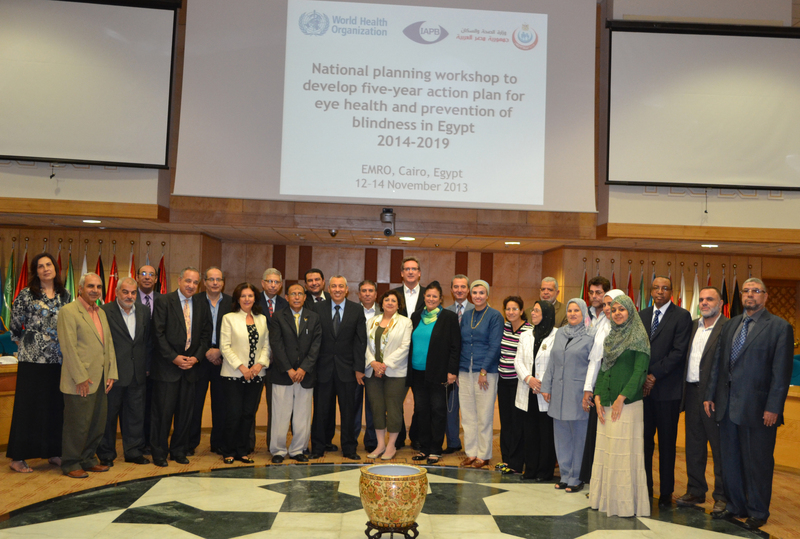 The Egyptian Ministry of Health and Population in collaboration with WHO-EMRO and IAPB-EMR is developing a new action plan for eye health in Egypt. This is in compliance with the recent World Health Assembly (WHA) Resolution 66.4 requesting countries to implement the actions in the new WHO Global Action Plan for Eye Health: Towards Universal Eye Health 2014-19. A planning workshop for developing the plan was held in Cairo, Egypt from 12 - 14 November 2013. In a participatory method, workshop participants identified eye health priorities in alignment with Egypt’s national policies and the WHO health system building blocks. Also Jordan developed its national action plan after a strategic planning workshop held in Amman in October 2013. The plan was developed by the Jordan Ministry of Health and WHO-EMRO in conjunction with IAPB-EMR. The EMR Trachoma Alliance held its inaugural meeting from 15 - 16 December 2013 in Dubai, UAE. The meeting which was blessed by the attendance of the Chair IAPB-EMR Prince Abdulaziz Ahmad Al Saud was attended by National Coordinators for prevention of blindness and GET 2020 Coordinators from EMR countries with trachoma or recent past evidence of the disease. Representatives from local and international NGOs working on trachoma in the EMR (including AlBasar international, CHEF, CBM, FHF, Sightsavers, ICTC, Global trachoma mapping project etc) also attended in addition to experts in trachoma control. The meeting has among its objectives to collate and review available mapping data on trachoma and status of control in the EMR, to develop an action plan highlighting the priority countries/districts/ Governorates for mapping and SAFE strategy intervention and to develop a coordinating mechanism for all the stake holders. As part of the ‘Seeing is Believing’ Diabetic retinopathy program in Irbid Jordan, a series of training for 21 ophthalmologists from Irbid hospitals and AlBasheer hospital Amman was conducted over a period of one month (September 30 - October 30). The training included diabetic retinopathy detection, grading, treatment using laser or intra-vitreal injections, sessions also on use of OCT and its interpretation was conducted. The training included practical sessions. 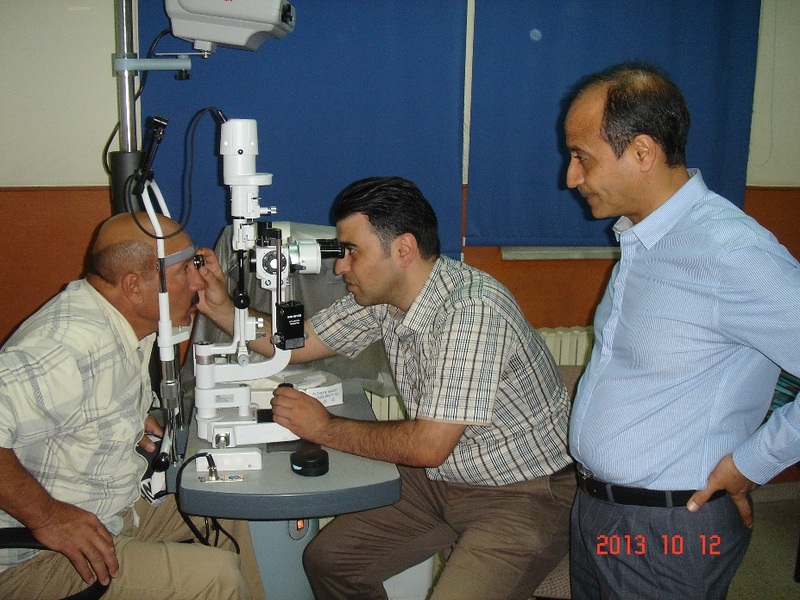 It was held at University of Jordan Amman by experts in the field of Diabetic retinopathy care. 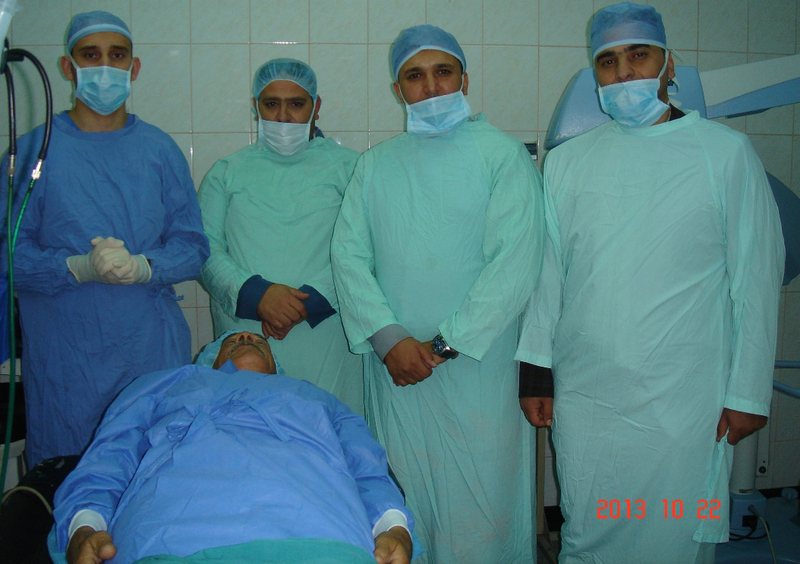 Also, 36 family and general physicians were trained at the Princess Basma teaching hospital Irbid. The 2013 recipient of the American Academy of Ophthalmology (AAO) International Blindness Prevention Award, is Prof. Mohammad Daud Khan. 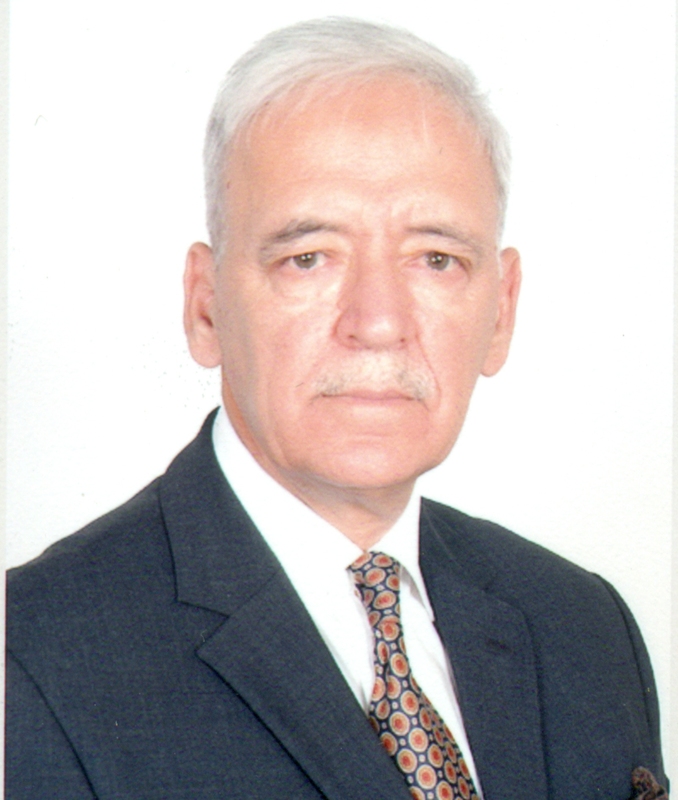 Prof. Khan is board member of PBU and the Chairman of the Board of Directors, Comprehensive Health & Education Forum (CHEF) International. This award honors individuals who have made significant contributions to the prevention of blindness or restoration of sight worldwide and was presented at the Opening Session of the AAO’s Annual Meeting on Sunday, 17 November 2013. The Saudi Ministry of Health in collaboration with the Saudi National Prevention of blindness Committee held a workshop on 3th and 4th of November 2013 in Riyadh to develop a national retinopathy of prematurity (ROP) screening program. The workshop was attended by local and international experts in ROP inducing from ROP programs of UK, USA, New Zealand and India. 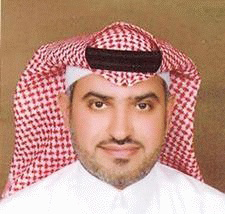 Dr. Saad Hajar was identified by IAPB-EMR to be one of tomorrow’s leaders who will lead the eye health sector in the future, in recognition of his contribution to the prevention of blindness in Saudi Arabia. The celebration of the 2013 Eye Health Leaders was concluded in a ceremony at the IAPB Council of Members in Brighton, UK on 17 September 2013. Dr. Hajar is currently the National Coordinator of Prevention of Blindness in Saudi Arabia. 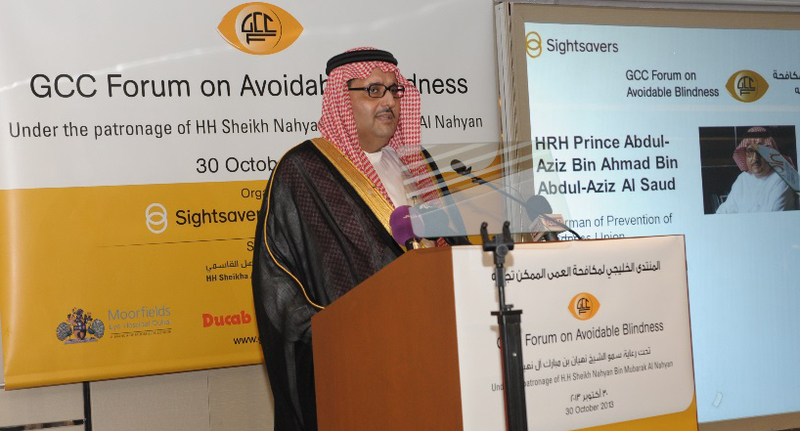 He is also a member of the Saudi National Prevention of Blindness Committee (NPBC) since 2008. PBUnion Head Office: P.O.Box 7947, Riyadh 11472, Saudi Arabia.